Bonnie Hershey has presented to numerous organizations for over 20 years to rave reviews. Her energetic and engaging style draws in her audience who enthusiastically learn through their participation. They leave energized with ready-to-use information. Bonnie's audiences include educators, parent-teacher organizations, self-help groups, Occupational Therapists, Physical Therapists and businesses. Each 2 to 6-hour presentation can be geared to your population. Contact us to schedule your next in-service, workshop or convention speaker. 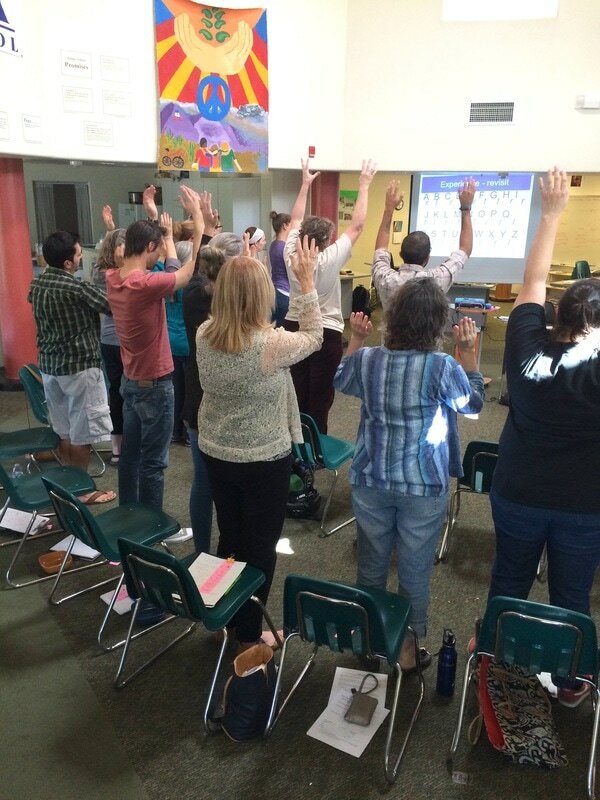 Brain Gym® Introductions are a great way to energize your school staff, reduce their stress, and ultimately pass along what is learned to their students. The Brain Gym material is discussed and experienced on a whole-body level to promote self-care and self-direction for optimal learning and performance. I loved it and am so excited to bring it to my classroom. Parent/Teacher organizations are always looking for upbeat, positive presentations to offer the community. A Brain Gym Introduction may provide just what you are looking for in support of your group—day care providers, parents, caregivers and teachers, to name a few. ​​Thanks for a wonderful workshop. I’ve had great feedback from participants, and even after a full day of teaching they were engaged and had fun! Bonnie has presented at conventions and conferences, providing lively and energetic Brain Gym® Introductions. The presentations are participatory. Be ready to get up and out of your seats to experience all that Brain Gym offers—activities to reduce stress around learning and performance. You will leave reenergized! ​I was kind of dreading a Saturday training, but I’m very glad I came. I feel a lot better than when I walked in and it reminded me of things I can do for myself as well as for the children I work with.